Taverzo Table Tennis Club is a large table tennis club in the west of The Netherlands (near The Hague) where everybody can play table tennis. Our address is: Willem Alexanderplantsoen 4, 2726 BS Zoetermeer, The Netherlands. No matter if you are young, old, disabled or not, recreational player or topsporter, we have possibilities for training, recreational playing, competition and tournaments with lots of side events for all our members including our kids, all organised by our own members. In 2015 we moved to a superb new table tennis accommodation where we can play every day of the week. Visitors are welcome to play at our TT club. Most recreational players are playing Monday evening between 20:15 and 23:00 hours, but other evenings are possible as well. We have 12 training courts or 9 competition courts. We've also got the facilities for 2 ITTF-approved courts for international matches. 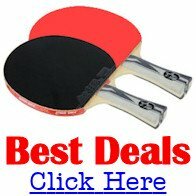 Playing conditions are excellent, because the hall is especially designed for playing table tennis. And of course, it's still brand new. We have about 250 players (in 2016). The first men's teams is playing in the highest league. We have teams playing in the national leagues and in regional leagues. The best things about our club are the sociability, nice people and of course excellent table tennis facilities. Taverzo Table Tennis Club started somewhere at the end of 1960 when a schoolteacher and some of his colleagues were allowed to use some handmade table tennis tables from a bankrupt youth movement to start a social club. 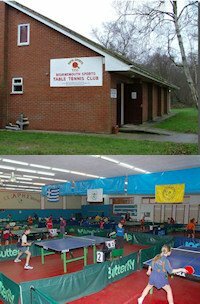 In November 1962 it all became official and the table tennis club Taverzo was born. In 1964 the first team joined the regional competition. Somewhere in 1967 the first junior members came in. And that was the start of the around 40 competition teams and a lot of recreational players we have nowadays. 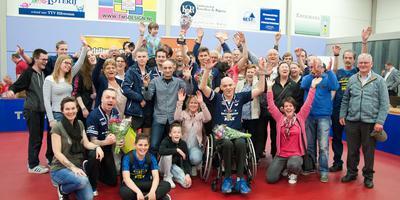 We have the Dutch National Champion (men) 2013, 2014, 2015, 2016.